Pixar’s 2012 hit, Brave, continues to bring in awards, but the studio’s animation and technical departments are firmly focused on completing Monsters University in time for its summer release. 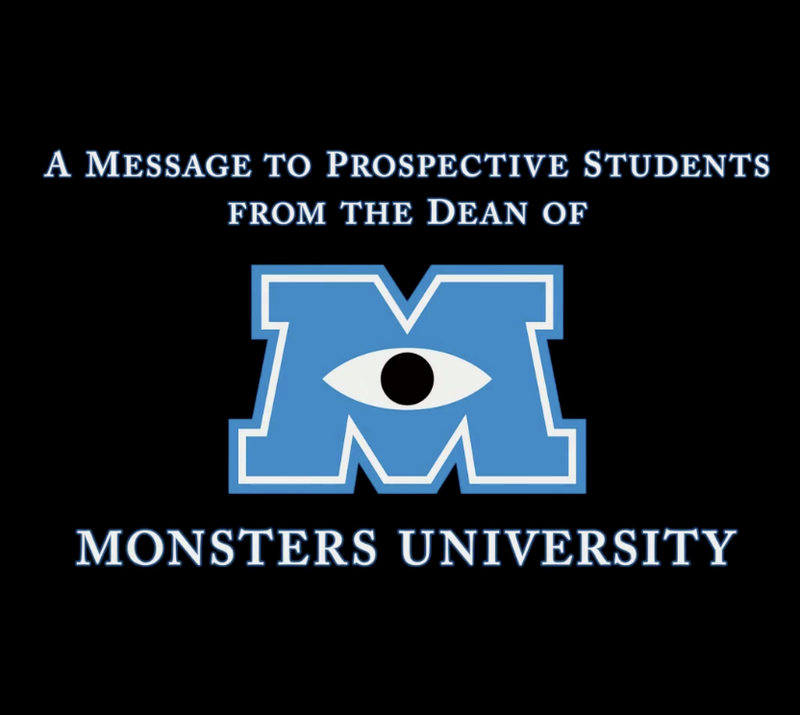 Although the prequel film is still four months away, the marketing team at Disney/Pixar is already hard at work with a creative campaign revolving around the fictional university. A viral ad and website have already hit the web, and now we have another fantastic video narrated by actress Helen Mirren, no less. Watch the newest video in HD after the break! This is already turning out to be far and away the most clever campaign for a Pixar film yet, and I hear there is more to come. Mirren’s addition to the cast continues Pixar’s ability to reign in veteran and respected actors to play parts that had once been considered childish. After films such as WALL-E and Up, the belief that animated films were a notch below their live-action brethren has slowly started to melt away. Hopefully, with more quality animated films focused on story and characters from the various studios, the style choice of animation will be understood to be just that, a visual style used to tell a story.